After Bleecker Street and LD Entertainment have successfully acquired the U.S theatrical distribution rights to Max Minghella’s directorial debut Teen Spirit, Deadline is reporting that the musical drama’s release date has already been decided and is slated to premiere next year in 2019. 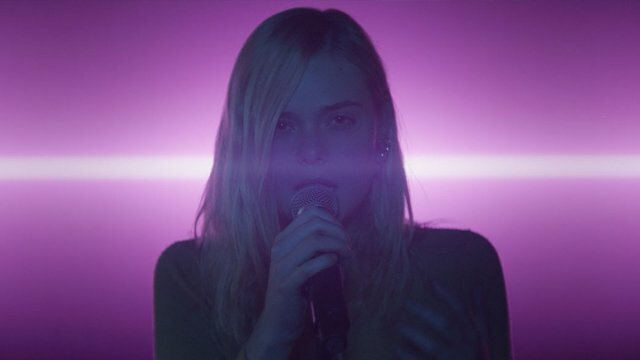 Teen Spirit stars Elle Fanning (The Beguiled, Maleficent) as an aspiring pop star, and Agnieszka Grochowska (Persona Non-Grata) as her mother The film had its world premiere at the 2018 Toronto Film Festival. Violet (Fanning), is a 17-year-old who lives with her mother (Grochowska) on a small farm on the Isle of Wight. While she spends her days doing chores, waiting tables, and going to school, she mostly tries to keep to herself. During her free time alone, either in her room, with her horse, or at an open-mic night, Violet yearns to be a singer. Naturally gifted with a lovely voice, her dreams of becoming a pop star don’t seem that far-fetched. Over the course of the film, Violet learns how to come out of her shell and embrace her seemingly impossible dream. Minghella wrote and directed the film, which also stars Rebecca Hall (The Town, Professor Marston and the Wonder Women) and Zlatko Buric (1864, Montana). Fred Berger (La La Land) is serving as producer. The post Teen Spirit: Max Minghella’s Directorial Debut Set for 2019 appeared first on ComingSoon.net.